Here in Utah, the first day of spring isn’t quite full yet of all the gardening we’d like to do, but it is full of the promise that soon enough we’ll be out there once again, digging in the dirt! In the meantime, we’re opening the windows, letting the fresh air in, and doing some spring cleaning. Look to your pantry to naturally clean your clothes and your home. Adding essential oils contributes antibacterial properties to your homemade cleaning agents and gives that oh-so-fresh-and-clean scent. This basic blend of oils is antibacterial and it smells divine! Once you’ve made up a batch of the Antibacterial Essential Oil Blend, add it to the other recipes included for cleaners or create your own. Once you start creating your own cleaning products, you’ll discover just how easy it is to make cleaners that are truly clean. Instructions: Combine all oils in a light-proof bottle. Make a paste of equal parts baking soda and your favorite liquid castile soap. Adjust the ratio to your liking. Add a few drops of the essential oil blend. The baking soda is abrasive, so take care when cleaning delicate surfaces. Heat water and borax, and stir until borax is dissolved. Stir in liquid castile soap, vinegar, and antibacterial essential oil blend. Store in a spray bottle. To use, spray and wipe clean. The vinegar smell will dissipate shortly. We made it through another winter!! It’s getting warmer, the days are getting longer, flowers are starting to bloom, and you’ll start to see butterflies and bees buzzing around. I don’t know about you, but Spring is without a doubt my favorite season! 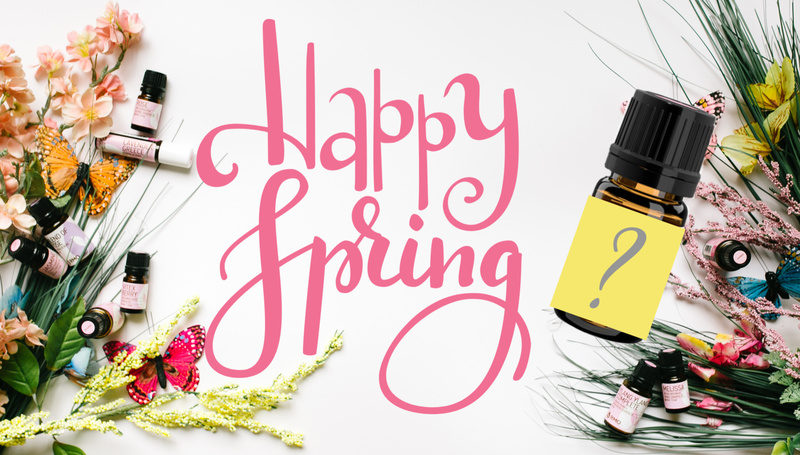 I love all the bright colors, warmer weather, and all the wonderful smells Spring brings. To make Spring even better (I know, how is that even possible?!) we are introducing a NEW limited time blend!! Trust me, you won’t want to miss out on this one! !